this little gem measures pasta for 1, 2 or 5 portions! 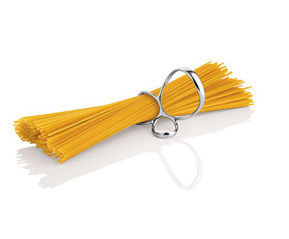 From Alessi (yes they think of everything) the Voile Spaghetti Measure! A cute stocking stuffer for the cook that has everything.